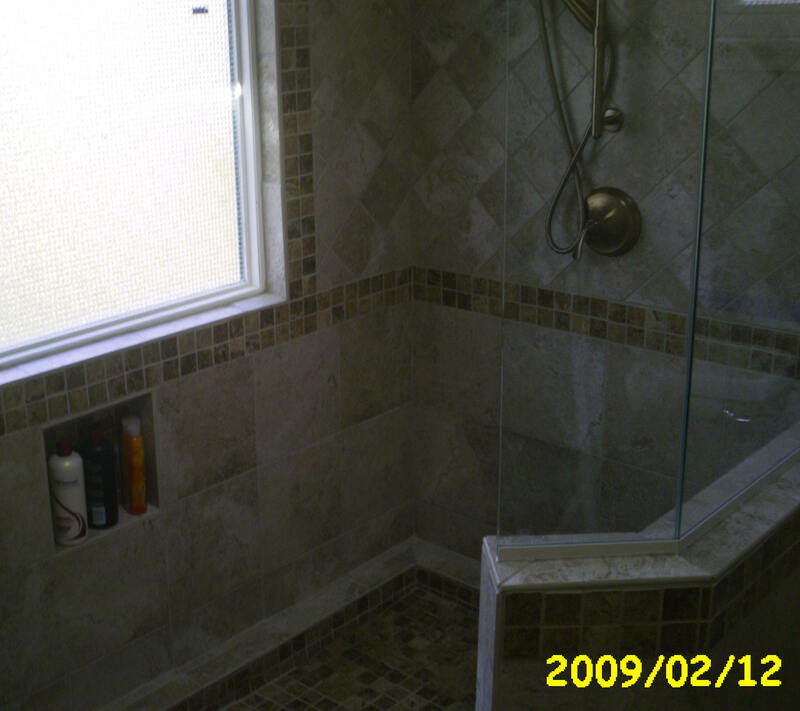 ABOVE: We fabricated a walk in shower with a frameless glass enclosure atop a tiled half wall. The recess is shown below the opaque 4x4 vinyl window. The window is a composite of two textures providing ample light with enough distortion.. 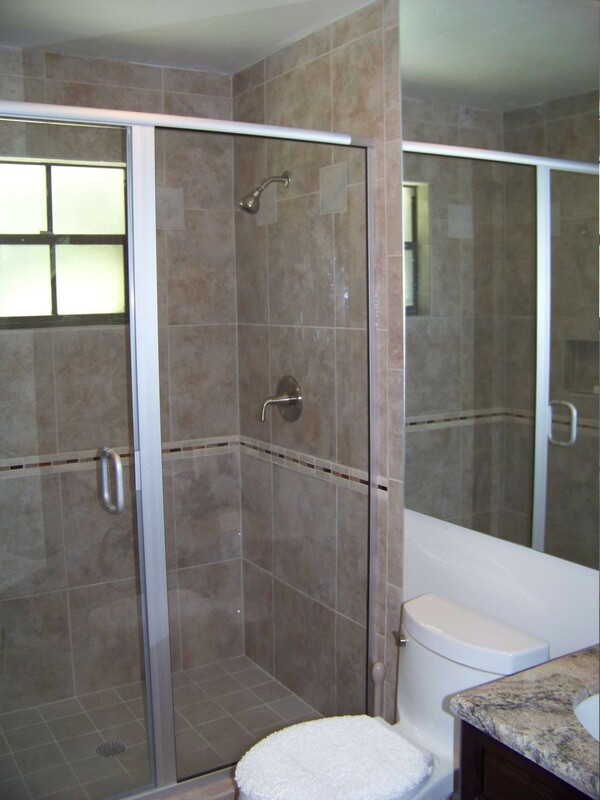 The 2x2 listello band bounds the window top, bottom and sides of the 4x4 diagonal set wall tile. The listello continues around the room and bounds the top edge of the half wall. 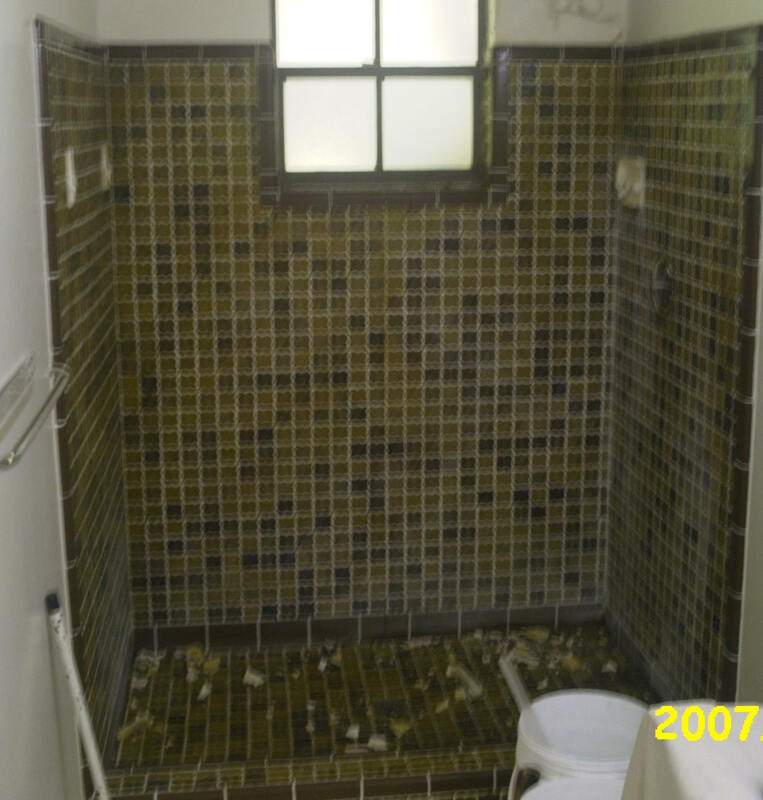 BEFORE: The shower featured a dark green mosaic tile. AFTER: We feature a wall to ceiling 12"x12" wall tile with a copper band in the listello tile midway up the wall and a clear glass surround with a "C" pull. BELOW: Wall to ceiling tile with a subtle trim at the ceiling. 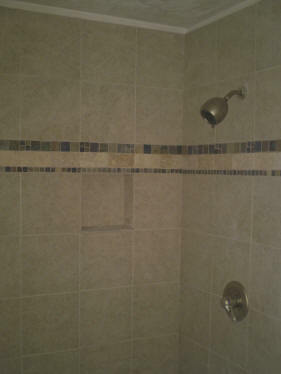 The customer composed the listello tile by arranging 2x4', 2x2 and 1x1 tile which we set just above the recessed nook.